Note the bible verse above the arch, a common practice then. The stained glass window is the one still here, as is the high altar, the pulpit and the pews. There seems to be some sort of stenciling around the sanctuary, and in places even today one can see their ghostly outline under coats of whitewash. 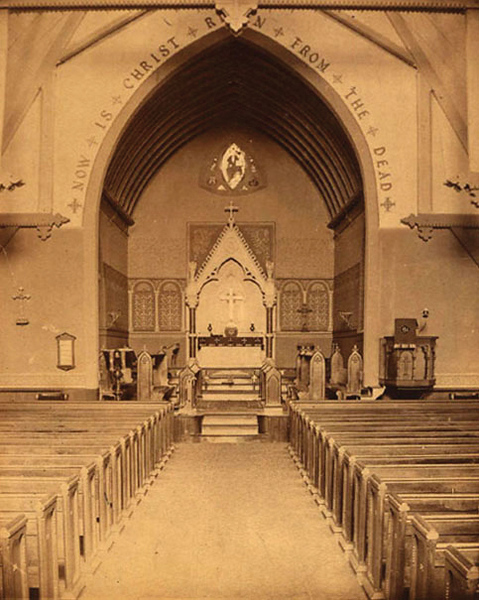 The altar cross is the one to which such exception was taken by the newspapers at the opening service in 1868.